“It’s ‘stop the killing,’ ” I corrected. I have been agnostic on the utility of boycotting the Beijing Olympics. I prefer to consider the Olympics nothing more than a sporting event. Host cities should do their job: spend their $30 billion and get out of the way. But the Chinese government, in its insecure and bullying fashion, keeps pushing its luck with acts like the army-saturated torch welcoming ceremony in Beijing and the endless torch relay with its unprecedented scale of 85,000 miles and 20,000 torchbearers, scheduled to hit not just every Chinese province, but major capitals on every inhabited continent, as if we were all part of a new Chinese world order. Most of all, by adding their goon squad of “flame attendants” with no apparent diplomatic status into the scene–hovering retentively, manhandling Londoners, and barking orders at the torchbearers–Beijing has made it abundantly clear that this is not about the Olympic spirit, but about power, Chinese power. Back in 2001, pretty much every U.S. newspaper editor tacked the headline “Who’s Hu?” on the obligatory backgrounder introducing the incoming Chinese president, Hu Jintao. The pun was usually more interesting than the article; the singular accomplishment in Hu’s otherwise colorless party career was his suppression of the Tibetan revolt of 1989–100 people were massacred. With Hu now firmly in control, it’s not surprising that the current Tibet crackdown appears cleaner than the first: well rehearsed, coldly efficient, with most of the blood splendidly isolated from the prying Western media. Hu could have provided window-dressing for the West: an agreement to sit down with the Dalai Lama (at some unspecified point in the future, once the shape of the table has been determined and so on). In fact, under pressure from the International Olympics Committee (IOC), he still might provide some similar bunkum, but it will not change the nature of the Chinese Communist party. Much like the true church of the Middle Ages, the party has the prime directive of bringing errant provinces into the fold and destroying any opposing systems of thought. The problem is that, as a world leader, Hu has the prime directive of bringing off a successful Beijing Olympics–an event, by the way, that the Chinese people have put a lot of sweat into. And that’s a problem for us too. Once you get past the usual Chinese admonitions about interference in internal affairs, the first Chinese argument is that Tibetan monks and activists are essentially terrorists, with the Dalai Lama standing in for bin Laden. Thus Chinese suppression of Tibetan Buddhism and the strategic resettlement of Han Chinese in Tibet are downplayed in favor of a serial loop of badly shot “atrocities of the Tibetan independence forces.” (The Chinese government recently warned of “Tibetan suicide squads,” indicating that they may consider staging an event with better lighting in the near future.) This argument doesn’t really fly. Too many Washington leaders, Bush among them, have met the Dalai Lama, and it won’t work with U.S. journalists either–the Chinese have shut down press access to Tibet all too frequently. The second defense, favored by angry young Chinese males in reader comment sections throughout the Internet, parrots the Chinese government’s depiction of Tibetans as picturesque but feckless (like our caricature of American Indians back when we still called them that), who desperately need Chinese modernization for their own good. The problem with the “Han Chinese burden” rationale is that we stopped slaughtering our natives some time ago. When it comes to Taiwan and economic liberalization, China has technically lived up to its promises, pulling Taiwan into the Chinese orbit through business interests rather than by naval blockade or missile attack. In terms of nationalism, journalistic freedom, and human rights–well, best not to dwell on how that turned out–but in all fairness, the only one of these issues that the IOC appeared to be mildly serious about was human rights. Even there, it was always a same-bed-different-dreams deal. For Western business in China, “human rights” translates as: Please don’t embarrass us publicly. 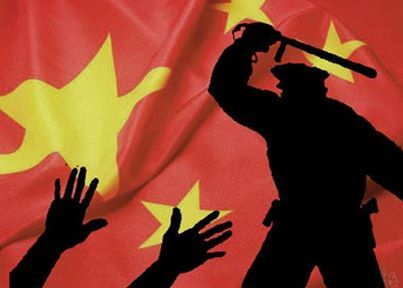 For the Chinese government “human rights” was always translated within the prism of “social stability”: How else can you ensure a smooth Olympics? And the way to ensure social stability was to neutralize the “five poisons”–Tibetan separatists, democracy activists, Taiwan independence supporters, Xinjiang freedom fighters, and Falun Gong practitioners. And here, again, the angry young Chinese men have a point concerning the hypocrisy of Western journalists. U.S. coverage of China has been weak and our policies inconsistent. Terribly so. But it doesn’t render us incapable of doing the right thing. Falun Gong has been getting little press in the torch relay fracas. That’s not surprising. As an indigenous Chinese movement, rather than a separatist one, Falun Gong has taken a neutral position on boycotting the Chinese Olympics, sensing correctly that it has become a matter of Chinese “face” that the Olympics continue. But we in the West have our own version of face, a genocide line that cannot be crossed without our identity beginning to crack. No matter how much we ignored the crying, the persecution of Falun Gong demonstrably crossed that line, and even if the Chinese leadership calls off the torch relay or makes an effort to resolve the Tibet situation, it is too late for this Olympics. Boycotts don’t work, but the political opening ceremony, for better or worse, is Beijing’s big show–its dog party. Let’s admit that we screwed up, quietly declare a no-fault boycott of any ceremonies, and move on. President Bush, please stay home.